For a cool night out with your friends go to Downtown Gatlinburg. 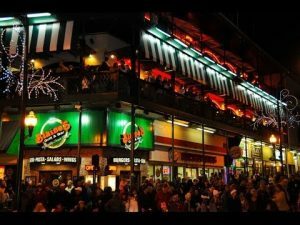 There’re so many bars and restaurants where you can have a great time. If you like whiskey you definitely have to check out some distilleries around there and take a sip of the variety of moonshine’s flavors they also offer. Just for about $5 you can take samples! Ole Smoky Moonshine Holler is one of the most famous bars. A bottle of moonshine might be a special souvenir, what do you think? On the other side, to please the hungry ones from the group, we recommend you to visit the Pancake Pantry for exquisite pancakes or the Bennet’s Pit Barbecue for amazing ribs. After having had a delicious meal you could also keep exploring the other activities around Downtown Gatlinburg. For instance, Ripley’s Aquarium of the Smokies is a perfect attraction for families and children. Don’t forget to try out mini golf, laser tag or gem gaming and to experience the Smokies from different angles! 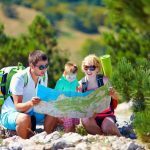 Gatlinburg is an excellent destination for those who want to get away from the hustle and bustle of the city and relax in nature, nevertheless, there are some extreme activities for those looking for a very energetic Spring Break as well. If you love adrenaline keep in mind to visit the national park for a hiking experience to the Chimney Tops or navigate on the Pigeon River for a whitewater rafting experience. Likewise, you cannot miss out the chance to be amazed by the beautiful landscapes of Gatlinburg while you are riding a mountain coaster. This is a new attraction which can take you almost up to heaven! As you can see there’s a little bit for every taste. Here are some other cool activities that you could do over there. Choose the ones that better fit you: Bungee Jumping, Indoor Skydiving, Go Kart Racing, Zip Lining, Horseback Rides, ATV Tours. Have a satisfying breakfast and get out of your comfort zone! Grab your skies and turn your Spring Break into an exciting experience with tons of snow involved. Make sure that the slopes at Ober are open to the public in March since it depends totally on the weather conditions. Moreover, thanks to that you might be traveling at the end of the season you could get some discounts on your lift tickets. Take advantages of every deal! You can’t miss the opportunity of visiting Dollywood while touring at Gatlinburg. You are just about time, the park will be opening again on March 16th after a quick break. 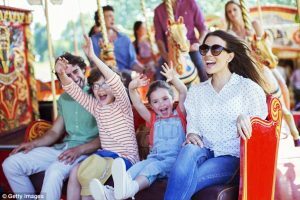 Besides, you wouldn’t find so many people going during this time, thereby it’s the perfect moment to go with your family and friends! There’s a new roller coaster that you have to check out. The Lighting Rod, considered the world’s fastest wooden coaster, is waiting for you. 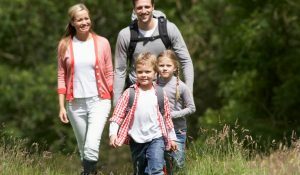 Visiting the Smoky Mountains National Park during spring is an unforgettable experience, and even more, if you are traveling with your loved ones. Wear comfortable shoes and go on effortless hikes to look at some spring wildflowers or to see popular sights such Laurel Falls or the Sinks. On the other hand, if there is an adventurous family member, hiking at Alum Cave Trail and Charlies Bunion are both great options. 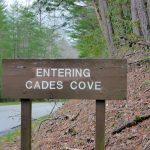 Additionally, the historic cabins in Cades Cove and Elkmont can turn your trip into an educational and interesting experience without any doubts. After a long and exciting day full of walking, attractions and extreme activities, you would want a comfortable place to sleep in. Booking a cabin at Gatlinburg is a great deal. You won’t have to spend all your savings for making this trip. There are so many affordable cabins where you can stay in the mountains. Besides, if you are planning to travel with a big group of people this is the best option for you. Between 15 to 28 guests can spend the night in these large cabins. In addition, they all have kitchens, so you wouldn’t have to spend so much money on food during your trip. If you decide to reserve a cabin at the end, you are also going to be impressed by the astonishing views from your cabin’s deck. Hot tubs, game rooms, indoor swimming pools, pool tables, air hockey games, and dart boards, what else can you ask life? Gatlinburg is a marvelous destination for a getaway from work and school. Take advantages of everything this town has to offer you. Are you looking for a relaxing spring break? Or are you looking for an extreme spring break? There are activities for everybody, go and explore it by yourself!